> Tech News > Is Dell Getting out of the PC Business? Is Dell Getting out of the PC Business? Dell, which still generates a slight majority of its revenue from PCs, isn’t really in the PC business anymore. So says founder and CEO Michael Dell, who spent a majority of his time at a conference hosted by Fortune today speaking about corporate servers, storage, networking, security, and IT services — anything, basically, but the PC business. 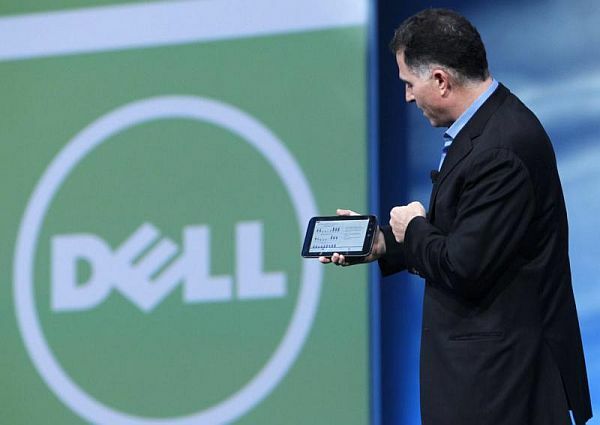 “In the last five years, we really made a concerted shift to end-to-end IT services,” Dell said. He calls it the “new Dell,” a shift away from the PC business as the technology industry embraces the notion of the post-PC era. Dell said his company spends a majority of its research and development budget — not to mention billions of dollars in acquisitions — transforming the company. And unlike rival Hewlett-Packard, Dell is doing it without the burden of a lot of older legacy businesses, he said. Still, Dell and Hewlett-Packard are both moving towards a more enterprise-centric model, similar to the success that IBM has found through its own reinvention. Despite his rhetoric, Dell is still firmly entrenched in the PC business. He acknowledged that he continues to compete against Apple in PCs, and will be making tablets using Windows 8. But the company’s status in the PC business has slipped. Dell is now the No. 4 player with shipments accounting for 10.7 percent of the market, down from 12.1 percent a year ago. While the company’ still derives a majority of its revenue from PCs, growth in profit is driven by the new Dell — particularly services and corporate and government business. Where Apple’s growth comes from iPhones and iPads, Dell’s growth comes from securing those devices and allowing them to work with corporate systems, he said. As part of its new direction, Dell announced at the conference that his company is starting a $60 million venture fund devoted to storage. Dell’s stock has taken a hit — even more so than the broader market. Dell said the company’s has been volatile, but said the general direction of the company has been up, and said it is making significant progress in changing the nature of the business and product portfolio. Another of Dell’s major growth areas has been China, where the company has a large presence in mission critical systems. Dell said that about 60 percent of the country’s Internet runs through its servers, and that it is the largest market outside of the U.S. for the company. But he also confirmed that sales growth is slowing in China, a concern shared by many. Dell also commented on the recent trend of founders retaining more control of a company’s voting stock, often through a dual-class of shares, noting that a structure that blinds a CEO to the shareholder perspective may not be a good thing. It’s a slight criticism of the setup that Facebook CEO Mark Zuckerberg has in place to retain control of the company.